Building a successful CX strategy can feel like a haunting task. Brands recognize the importance of defining and delivering a differentiated Customer Experience, but often don’t know where to start, or get lost along the journey. The right Customer Experience potion is the combination of a few key ingredients, including a CX strategy aligned with the brand promise, defining the business outcomes your CX work will impact, mapping the entire journey (with the customer), and engaging your employees by creating a CX culture. It’s no secret that companies who provide great Customer Experience see greater customer retention rates, higher spend, and increased brand advocacy. But, they are also realizing greater customer acquisition from companies who provide a poor experience to their customers. A recent NewVoiceMedia study proves this point, finding that companies providing poor experiences are losing over $75 billion to their better CX competitors. According to Forrester, companies who increase their CX Index by one point can see between a $5 million to $879 million increase in revenue depending on their industry—with mass market auto manufacturers and upscale hotels benefiting the most. What’s scary is that their CX Index report found that the overall quality of customer experience stagnated in 2018 and that brands are lacking a CX leader for the third straight year. Align your CX strategy to your Brand. Once you have decided to focus on Customer Experience, it is critical that your CX strategy is aligned with your brand promise. Your brand is your personality, and your Customer Experience is the way your personality comes to life at every interaction you have with your customers. Therefore, as you begin to craft your CX strategy, ensure that it is done in consideration of your brand and not as its own separate initiative. When brand and CX are at odds, it can result in a CX nightmare. Define your KPIs—think short term and long term at the same time. Upfront, make sure to answer this question: “What are the business outcomes this will drive?”. Challenge yourself and your teams to answer the question at the broadest level of your strategy, and all the way to the specific tactics you plan to implement. The trick with Customer Experience KPIs is to be able to think about the short term and the long term at the same time. Your short-term KPIs need to focus on the lift you expect to see or the savings you expect to achieve by taking out a friction point in the customer journey, by streamlining a process, or connecting technologies so that you can get more out of customer data, and so much more. Your long-term KPIs need to focus on things like experiences that will increase customer lifetime value, alternative currencies you might introduce in order to increase retention, engagement, and loyalty. Above all, ensure that the results you’re after are aligned with your brand’s business objectives and implement continuous measurement so you can adjust the course of your strategy as needed. Map the journey (with your customers). Omnichannel, online and offline, human and digital, process map, below the line, lifecycle. We’ve heard it all because it is in all these places and ways that customers and brands engage. The role of a customer journey map should be to galvanize a brand around the current and desired experience customers have at every touch point (human and digital), and to help prioritize the work that should be done—work that has the greatest impact for your bottom line. Done right, it is co-created with your customers, so you can hear first-hand the functional and emotional needs and expectations they have. An effective customer journey map will help clarify competing priorities and break down potential silos because it is customer centric by design. When we connect the dots, through our version of a customer journey map, we can show teams across the organization how each person has a direct impact on the customer’s perception of value, and the bottom line. Engage your employees in the process. According to Dale Carnegie, companies with engaged employees outperform those without by 202%. In addition, our most engaged employees are the ones who deliver the best customer experience, which we’ve acknowledged as having impact to our balance sheet too! Therefore, engaging your employees in your Customer Experience strategy—truly letting them influence and own the outcome creates accountability, which leads to results. To achieve this level of employee engagement requires that Customer Experience becomes a part of your organization’s culture. This is achieved by the skills you develop in your employees, by the language you use, by the things you celebrate, recognize, and reward. Successful execution of a Customer Experience strategy is multifaceted, but it doesn’t have to be scary. 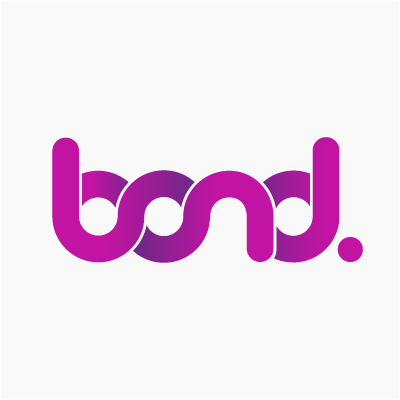 At Bond, we’re ready to help you achieve your Customer Experience aspirations. When customers ask, “trick or treat?” the answer should always be treat!